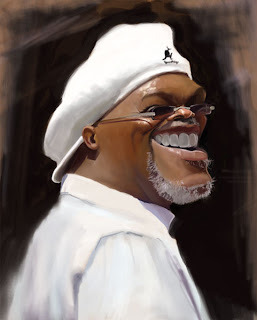 Started this Samuel Jackson yesterday...have about 2 hours into it. Need to refine things a lot...like the teeth. Long ways to go. Updated - November 17th...still needs sometweeking..
Nice job Jim...looking forward to seeing it finished!! That's great man, was worth waiting for.